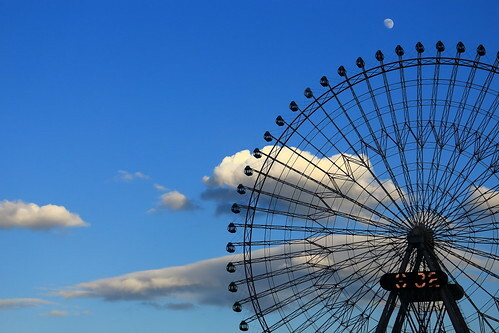 うたかたの空 / I Remember Sky a photo by memories of time on Flickr. Originally, I was just going to let 2012 slide by, but I felt the need to say something. 2012 has been a pretty rough year. Not just for me, but for all of us. Jobs have been lost, relatives deceased, friendships destroyed, bridges burned, and a whole lot of other things in-between. 2013 isn’t looking much better either, from this angle, but only time can tell. Remember though, that this past year, and especially the year to come, are what you make of it. You can choose to think of 2012 and instantly bring up the negatives, or think fondly of the positives, and remember the moments. The same goes for 2013, but on a daily basis. Most of 2012 may have seemed miserable or dull, simply because we focused a little too much on the negatives of our situations and the circumstances going on around us. This year, let’s try and make 2013 different, and daily think of what was good, rather than what was bad. Who knows, maybe, when we enter 2014, we’ll be feeling a lot more optimistic! Before I go, I ought to mention who took the beautiful photo above. Their name is Kiyoshi Noguchi (memories of time), and with the end of the year drawing closer by the hour, this photo seems to take on a much more solemn meaning, yet it still retains the beauty and the brilliant composition. Now, I’m not going to end by saying ‘Have a Happy New Year’, like we do on a day-to-day basis after the 25th. No, that phrase seems to get older and older every year, so, this time, I think I’ll go with something a little more out of the ordinary. This is Alex, hoping that all those who are reading will remember this year with fondness, and enter the new one with a renewed sense of optimism that things can indeed get better. Happy New Year to you too, Alan! May you have a good one! You’ve just reminded me I need to have a catch up on your posts too, so thanks for that. Welcome back!